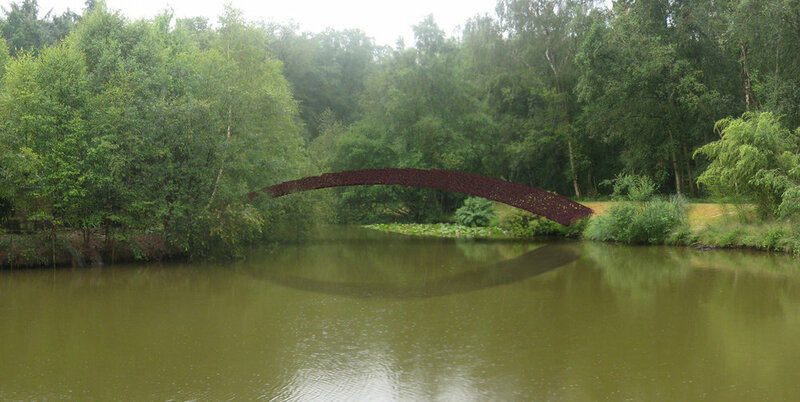 Tucked away on a 19th century estate in the countryside surrounding Surrey, the Fullbrook Bridge spans 85 feet from the shores of a pond to a small island at its center. The project presented the opportunity to explore the interplay between cutting-edge engineering and fabrication and a traditional English garden designed by renowned landscape architect Sir Edwin Lutyens. 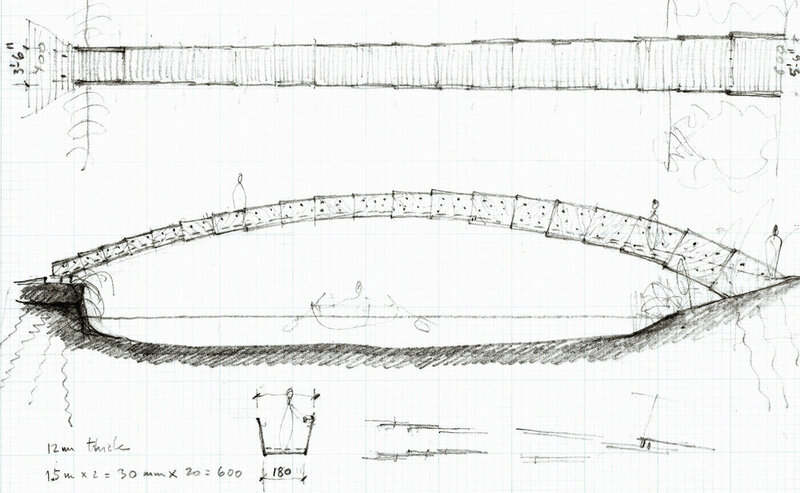 The design of the bridge was inspired by freeze-frame images of the arcs formed by frogs leaping across lily-pads and chameleons extending their tongues to catch flies. 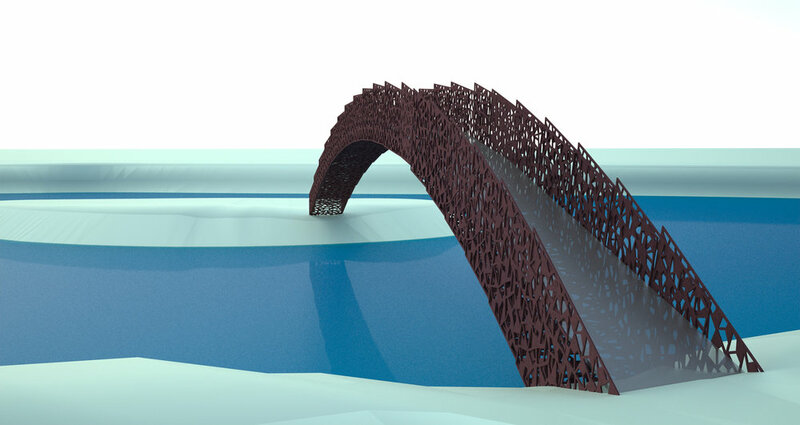 The series of nested steel profiles that make up the bridge are intended to mimic these motions, as the bridge appears to leap in increments from one shore to another. 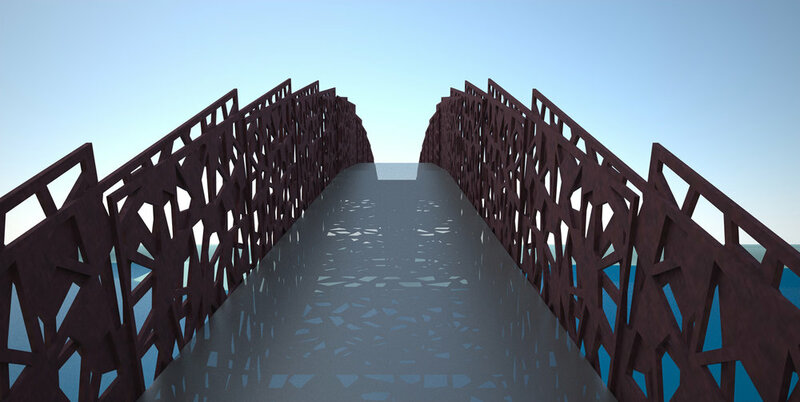 The fabrication of the bridge involves CNC cutting of solid weathered steel plates, which are then welded together to form the arch superstructure. The irregular patterns on each panel are an abstraction of images of lily-pad formations on the surface of the pond. A glass walkway appears to hover within the bridge itself, allowing views through the abstracted pattern to the water below.